When ignored, minor garage door issues turn out to be bigger, costlier repairs in due course! It is important that you take timely help from a reputed and experienced professional, for a major garage door repair project often consumes lots of time and money. If you are anywhere in and around Wayne (07470), give ASAP Garage Door Repair Services a call at (201) 628-0104 right away! Why Bank On ASAP Garage Door Services in Wayne? We operate as an owner company in Wayne and need not work with any sub-contractors. This allows us to employ our teams of veteran garage door experts to handle your garage door issues in no time. 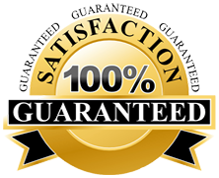 As a professional, we have been providing our customers with quality garage door repair service in Wayne (07470) for so many years now. What Helps ASAP Garage Door Services Stand Out? While there may be numerous services providers in your locality, not all of them will attend you 24X7 and guarantee their services! Garage door repair, maintenance and replacement services on the same day of contact. 24X7 service and flexible work timings to immediately address your needs, keeping your convenience in mind at the same time. The most competitive prices as well as full guarantee of services and parts used . For any type of garage door repair, replacement or installation work in Wayne (07470), you can give us a call at (201) 628-0104. We’ll make sure your issue is addressed at the earliest by one of our highly efficient teams of skilled garage door service technicians! This entry was posted in Wayne on July 25, 2013 by admin.